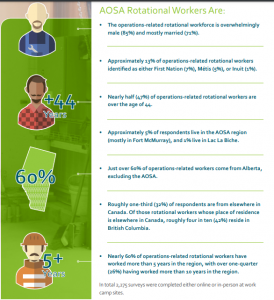 Rotational work is not new to Alberta or other provinces within Canada. Given the remote location, nature and magnitude of oil sands development, rotational workers have been, and remain, a constant feature of oil sands activity in northern Alberta. 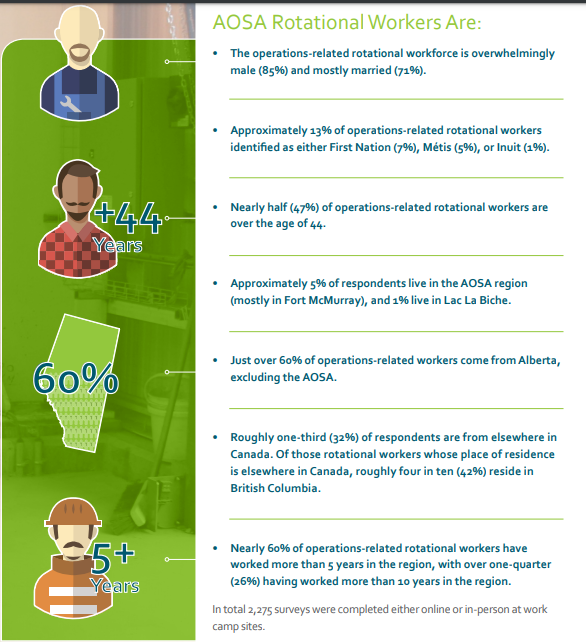 Who are the Rotational Workers in the Athabasca Oil Sands Area? Although rotational workers might stay in camp or in Fort McMurray, the one defining characteristic of these workers is that they do not commute home on a daily basis to their permanent residence. A rotational workforce includes the use of fly-in fly-out (FIFO). Industry has historically been, and continues to be, committed to hiring locally. Most companies offer competitive salaries and incentives (housing, relocation etc.) to encourage local residency for workers. In conjunction with developing the regional labour force, companies also use workers from outside the region to effectively staff their operations. Worker safety is a key component in oil sands operations. The considerable driving distance from many work sites to Fort McMurray poses a significant challenge. A daily commute would add a minimum of three hours onto a 10- or 12-hour workday, introducing performance and safety concerns. Every oil sands worker has unique circumstances and nobody should dictate how, or where, these workers choose to live. Providing choice to workers leads to increased job satisfaction, and improved retention and productivity. 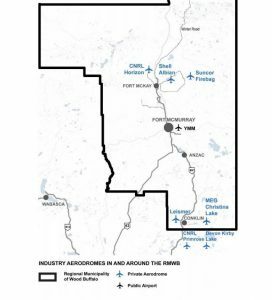 Eleven oil sands projects utilize five private aerodromes located in the Regional Municipality of Wood Buffalo (RMWB) and two in Lac La Biche. 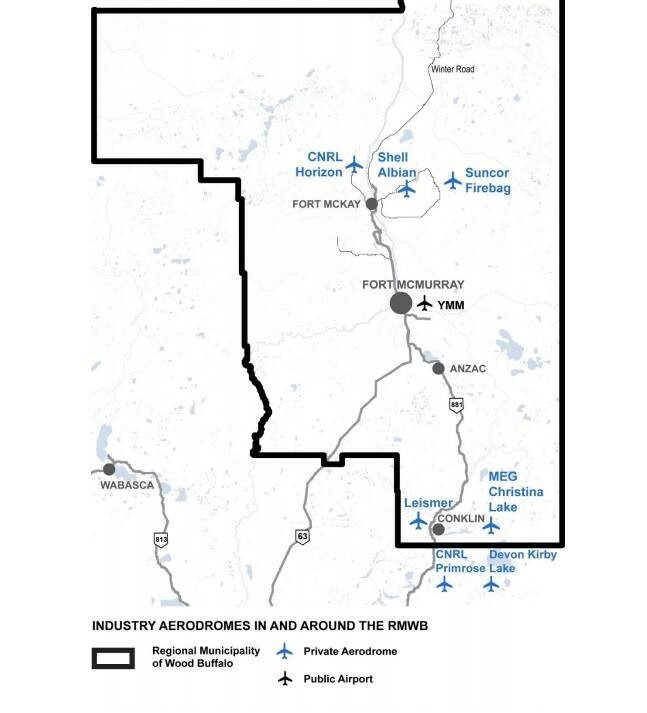 Substantial FIFO-activity (40%) at the Fort McMurray International Airport is attributed to the oil sands industry – eight oil sands projects use the airport. Most projects have bus or shuttle trips to Fort McMurray and other communities within the region. Ranging from daily to weekly, these trips transport workers from their homes at the beginning or end of their shift rotations. A majority of operations- related workers engaged in rotational work for greater salary, but also to learn new skills, and career advancement opportunities. Nearly 80% of operations-related rotational workers are satisfied with the rotational lifestyle.